A quote about Paris, from David McCullough, in The Greater Journey. A man in the left foreground of the image above, stands behind his wife who is framing a photograph. "Oh honey, just take the photo. . .quick before the tour group leaves us behind." "But I just noticed that street performer on the other side of the street. . .where did he come from?" "Who knows? Be sure to get Sacre Coeur's dome in the shot, that's what we want - the church looming over the hill, reminding the people of its past. . .as the Mount of Martyrs." "Of course, the camera is set for wide angle. I have included the church, the performer, the tourists, even the mother and child." “Great, let’s catch up with our tour group. 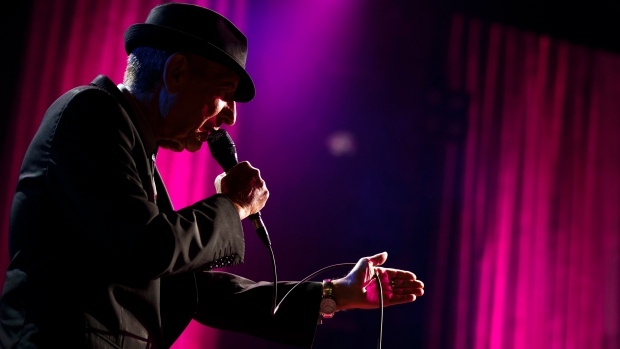 The performer is headed that way." The young mother watches the performer with his tell-tale long legs and wonders at his purpose. Her son in the stroller sees him too. "Maman! Maman! Look!" the child points to the street performer in stilts. "I see him, ma cherie, do you know what he is?" "Street play man? I want to see, ple-e-a-s-s-e, Maman!" "We will see if he stops, little one, he may be headed for that tour group up the hill. . ."
The performer focuses on retaining his balance and stride as he climbs up the hill towards the tour group. His black and white ensemble is de rigeur for his occupation. These new stilts are slowing me down a bit. . .but no matter, that must be the tour group ahead. What a disjointed collection of travellers. . .but I will charm them. I would much rather entertain that child and its mother, the little ones always love me, but the tour group will pay better. I have to eat too. I know what will appeal to this older audience, I will present the French tour guide view as he tries to interpret the Franglais and other mashed languages that most of the visitors speak. I will be diplomatic as they say, of course! Ah, Paris! *Flâneur - an aimless idler, dawdler, a dandy with time to stroll; one who observes life and offers his opinion on what he has observed. As I walked the steep hills of Montmartre, I saw the little things that bring a place to life and imprint upon the memory: the blue door to the residence where two brothers Van Gogh lived, an inner city vineyard, Lapin Agile - a café which swapped meals for art, the wall-passer - an author's story brought to life by a sculpture in a small square, and the view from Sacré Coeur. I saw the areas which had declined with time, but they faded behind the historical aura of Impressionist artists painting turn of the century dances in courtyards tucked in the shadow of the windmills. I could almost smell the fresh bread made from the milled flour. A setting can infuse our imagination. The visual prompts the sensory and the memory follows along. 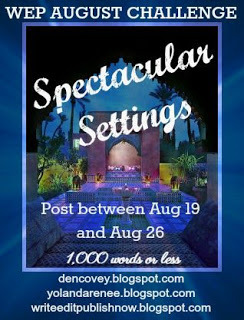 What is spectacular will vary with each writer. 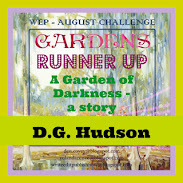 WEP = Write, Edit, Publish - this worthy challenge is back! WEP has been revised to allow more time between prompts and more opportunity to read the work by the writers who join in the challenge, WEP offers the writer an opportunity to test their short writing skills. The word limit is 1000 or less. The hosting job is now shared between two writer/bloggers, Denise and Yolanda, who have tweaked this challenge to make it more interesting. 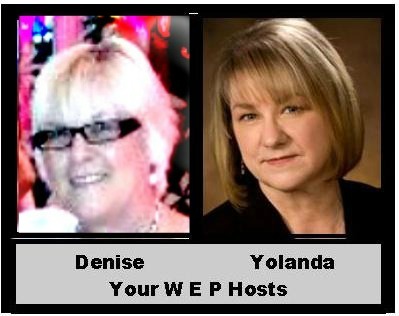 Read more about the changes, the prompt and how to participate at the WEP blog site. Also check out their blog sites to find out a bit more about our two hosts. Join us! Hope you enjoy reading all the entries via the web site and giving feedback where indicated. Have you heard of WEP? Are you interested in joining? Do you like reading short fiction? Please leave a comment just to say you were here, so I know you dropped by! Constructive feedback is welcome. Hope you enjoy the reading! 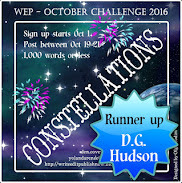 Thanks for reading my entry, and don't forget to visit the other writers on the list at WEP - Write, Edit, Publish! Hello DG! Wallow, wallow, wallow. No place like Paris. I'm glad we share this passion and can enjoy reading about the delights of this beautiful city. Love the vignettes, the couple taking the photo and the little child. So much happening on the streets as we walk by. Thanks for the kind words DG. It's great to be back and doing the rounds, meeting lovely new people and reading fabulous stories, fiction and non, and seeing gorgeous photos. Nothing quite like it. Thanks for posting for WEP. Yes, Denise, we share a love of a city that seeps into your being. It's what initially drew me to your blog, then it was WEP, a new skill for me that I've found extremely useful in generating new material. Thanks back at you, for bringing a group of writers together to share their stories - I love seeing what prompts you come up with. . . This was delightful. I can't imagine anything better than to be a Flâneur (hope that was correct usage - my french is limited to the numbers one through ten, hello, good by, and my little cabbage). Neither can I, even if the dictionary calls them idlers, or dandies. Observers tell us what life is like at street level, we just have to sift through the opinionated fluff. . .I like the idea of strolling, observing and trying to make sense of what one sees. Hi DG - so glad you've joined in the WEP Challenge and the idea ticked the box for you to start up again ... and air your creative side. Montmartre, Sacre Coeur, the stolen capture of the moment through the camera lens - brought to life and added to with your dialogue, or silent thoughts as each goes into their own life ... I read 'diplomatic' as 'diplomatique' ... tiny emphasis ... but for me .. it made it even more French. Thanks, Hilary, for reading the entry and for your suggestion. I'm glad to be a part of WEP, and it helps soothe my writing angst until time permits longer writing. Hope all is well with you! So much history in Paris! I just read a book set there and it sated my wanderlust for now. But just for now. It's a setting/city I'll never forget. It met and surpassed my expectations. Read more in my Paris Posts tab at the top. 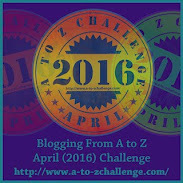 I love reading books set in Paris, especially historical ones, and have reviewed a few.Thanks for reading my entry! Oh, I'll have to do that. I love historical stories as well. I really liked Sacre Coeur. My former boss went to Paris several years ago and brought back about 1,000 photos. Sorta made me want to give it a second chance. You should, JoJo, it's cheaper to fly there from the east coast! We brought back about a 1000 pix as well, and I've used most of them for blog posts. Thanks for dropping by! We seldom think of the pressures of the people we pass on the street, do we? No matter the country, faces hold secrets. Paris is such a fascinating city. I have a small video for you this upcoming Saturday at the end of my post. I am doing WEP oriented posts all this week. :-) Lovely prose as always here. Thanks, Roland. As an observer, I also speculate on what people are thinking about and what they are doing, where they come from, etc. I will be sure to drop by your post on Saturday. How could I resist a hint about something I might like? Your picture brought up memories for me as I've walked that hill! Montmartre and sat on the steps at the Sacre Coeur. I love your flash as it takes in so many different people and their thoughts as they go about their busy lives. How nice - then you know that walk if full of interesting things to see. It's a part of Paris that I absolutely had to walk. I'm glad that you've been there too! I love Paris but your picture reminded me of the island of Sardinia in Italy. There are small villages on the island that have this same character. I like the way you drew the people into your flash. Thanks, Pat, and interesting that one image reminds you of another. Would love to see a photo of that now. May have to Google it. . .Thanks for dropping by and reading my entry. I'll be by to visit. The perfect union of image and words, your post makes your chosen setting - a street in Paris (where I have never been) - alive for me. Thanks for the kind words, I'm glad you caught the essence of my intent. I wanted to make those people seem real, as if they could step out of the image. Ah Paris, I have never been but I devour the work of those who have. It is on my list of places most desired to visit. I did use it briefly in my last book but all my research was done online, not the same, but it gave the touch of romance this particular thriller needed. How wonderful that you visit so often. A Slice of Montmartre Life is delectable, an observer, or Flâneur, perfect and an apt description for most artists, especially writers. I love how you took the occupants of your photograph and made them jump off the page with your words. A delightful example of flash fiction, this glimmer of Paris life. It's always been a game of mine to give strangers a story. Sometimes the more outrageous the better, hubby still plays it with me during our picnics in a local park. Thank you for returning to the WEP for the Spectacular Setting Challenge, and taking us on a walk through the streets of Montmartre. It is my pleasure to participate and it stimulates my writing. Reading the work of the other writers is also a learning experience. I like WEP, for its flexibility. Thanks to you for joining with Denise to make this happen. Looking forward to more. How absolutely beautiful. A dream which I may never fulfil - but felt I was through your eyes, images and words. Thank you. I'm glad you enjoyed the 'slice'! Montmartre had its charming spots, and its' not so charming spots. Sacre Coeur and its ever-white stone was worth the climb. Montmartre... sigh. One of my favorite places on earth. You have certainly captured the essence of my wistful memories of this beautiful and unique neighborhood. Most importantly, you have captured the character of the setting, of the people that inhabit it. The mother-photographer, the tour-group, the stilt-legged street performer. A setting devoid of life is like the proverbial silent, fallen tree in the wood, but here, the streets are infused with action. Well done! I like your description and agree totally with the belief that we bring alive an image when we examine the elements. Hubs and I picked a house we would have loved to live in on this winding street. Now just have to win the lottery. . . This reminded me of my mother, who loved Paris as much as you do. Then I'm glad I've brought you some good memories, Inger. Hope all is going well with you and the pups. Ravishing photo! Oh, to be in Paris. I can smell the fresh bread too. Great post. Thanks. You can never get enough of some places. I think we ate a baguette a day and then walked it off. Worth it! Thanks for visiting. Love the pic! Paris is one of my favorite cities and I always enjoy your 'views'.. Thanks for sharing a bit of Paris with us, D.G. I'm longing to be a Flâneur. Thanks, Michael. It's a pleasure. 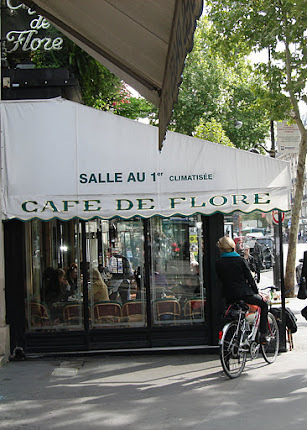 BTW - one can be a Flâneur anywhere, . .
Ah, Montmartre! I love all of the bits that blend together and create the flavor of the place. Your description made me want to make bread and study Starry Night. That's great! I love Starry Night and a few others of Vincent's paintings. Glad you enjoyed it. Loved this, as I've never been to paris. I have to do that in Vancouver, too, and I like to feature some of our heritage buildings on my other blog, 21st Century Journal. I always try to have at least my phone camera - today I saw topiary frogs at a local lake I used to live near! Loved the gastronomy of the eye that's going on here, and completely love the photograph. You took me right there and made it come alive. Of course, I always enjoy your posts about Paris immensely, this one's no exception. Hope all is well with you. Thank you, Nila, glad you liked it. I love this photo and hoarded it for a while, but it was perfect for this prompt. Hope you saw the larger version by clicking on it. (I couldn't use the large version in the post due to my column format). Things are okay, some days better than others. I went to Montmarte last year and this vivid slice of life brought it back for me. Lovely writing and excellent detail : the heartbeat of setting in fiction. I'm participating with my wordpress Daily (w)rite blog and what a joyride this has been, thanks to amazing participants like you and the incredible amount of work Denise and Yolanda have put in. Your kind words cheered me, and I know you got lots of other participants to join in, too. Kudos to you! Montmartre still has a bit of that old Paris flavor, I liked it a lot. Thank you I enjoyed my time in Montmartre and now I want to go there and see it all for myself. Well be sure and go on a walking tour. We walked most of the way from the Opera Garnier (the Paris Opera) and then onward up to Sacre Coeur. Then we walked back down again to the opera and caught a local bus back to the Marais. We took little stops along the way, like at the Starbucks across from the Moulin Rouge. Hope you do see it one day. I've had the privilege of visiting Paris, a long time ago, two decades ago to be precise, and it remains my favourite destination. That Montmartre pic looks positively charming... the perfect flash fiction prompt. Hopefully, I'll get to visit again one day and indulge in some Flânerie, soaking up all the city has to offer. I'm just wondering what the experience will be like, now that I'm two decades older? Your eye will notice different things, and you should see things you didn't see before. Things always change a bit over twenty years, and will make the experience richer, I would think. I have one of those nightlight images of the Eiffel Tower on my wall that I took when there. You reminded me how much I'd like to sit beside a cafe enjoying French pastries, taking in the sights and sounds of Paris, feeling the aura of its history. Thank you. People watching is a time honoured activity in Paris. I liked the Marais and the Latin quarter best for that. Thanks for visiting! What a lovely slice of life you have captured with your words and image. Well done. Thanks, I didn't realize I had caught all that action in the image until I saw it afterwards. I was concentrating on the composition. I totally agree, Paris is a paradise for photographers, which is why we see so many photos of Paris and why it's a setting used by many writers. Fabulous words, breathtaking image. Now I have to visit. I could taste that bread. Love your setting. Ummm - baguettes and pastries, oh my. There were many a memorable meals in Paris (small bistros, not five star types) but the bread I could smell every day as we were near a boulangerie. Thanks, some images just need a little dialogue. . .and this one had so much going on, I couldn't resist. Oui, Paris est magnifique! Loved the image and the vignettes. My one and only trip to Paris was way back in 1966. Time to go back! I agree with that sentiment! Thanks for visiting and reading. You too, and thanks for uplifting my spirits. Words can do that, images too. What a wonderful story, and so well told at that. This is why I don't do tour groups. I find that just as I'm discovering a little magic is the exact moment they want to take off and go somewhere else. We only did two tour groups, guys, this one in Montmartre (a small group of 10, a walking tour led by an expat American from St. Louis) and the one to Monet's Garden/Versailles. Both were great, with knowledgeable and friendly guides. We weren't rushed, except at Versailles which was a zoo with lots of rude tourists. . . I've done WEP twice, and it's great fun. But I always forget to do it until I see the posts later. Love your scene, and the things going on around it. Next one is in October, so why not join the Halloween theme? I'll be working on something. . .Thanks for dropping by Shannon! That was a lovely scene from so many angles DG. So active. 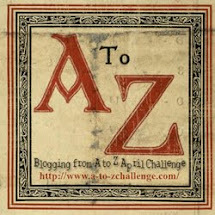 Thanks for visiting my IWSG post this month :) Have a good weekend. Thanks, Donna, I like imagining what goes on in my characters' heads and this image just seemed perfect for that. . .I wish you a good weekend, too! I enjoyed your tale, hopping through those heads. So cool to see what a photo can inspire. I tell my creative writing students that only boring people get bored; the rest of us find plenty of things all around us to inspire our imaginations: music, pictures, creation, other humans. Observation is a learned skill for some, Milo, and I'm glad you're teaching your students its value. It's something I acquired early on, being a person who liked to evaluate the situation before I stuck my toe in. . .
A great little piece! Amazing how a snapshot - not just the photograph but the memory can inspire such a rich story. Also amazing is the richness in such a short piece. Bravo! I enjoyed learning about Flâneur as well. Not only do I enjoy cross-cultural tidbits like that, but one of my second grader's vocabulary words this week is "stroll" - what a coincidence! May I stroll more than I walk today. Perhaps your child will enjoy learning a new word too. I was pleased when I first learned about it and imagined the dandies or philosophers of the Victorian and Edwardian days being the first to perform this observational stroll. Glad you enjoyed the short writing. From what I've heard, the orders were given for burning Paris, but the general who got the orders decided to disobey. He must have loved Paris, too. It's not easy to rebuild a city destroyed by war, and art can never be replaced, only duplicated. Thanks for dropping by, Lisa. Thanks for stopping by. I hope you and Tom are doing OK and settling in. Thanks, Inger. Much appreciated. That 'settling in' takes time, so we're still working on it.